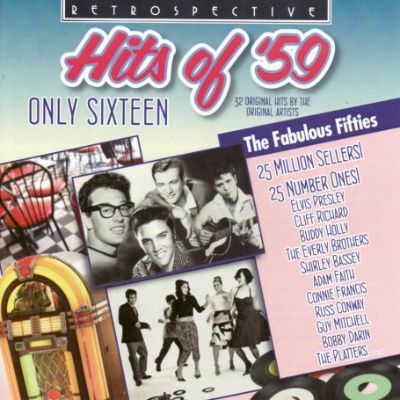 Today’s song is an iconic composition of the 50’s music genre. This song uses a version of the common chord progression now called “the 50’s progression”, which has been called the “Stand By Me’ changes” after the song. There are many iconic songs from this music time era, where the song moves rhythmically from the first chord, to the second, to the third, to the fourth and back to the first, always in the same order. These songs are strongly associated with the “Doo Wop” genre as well, and may be referred to as “Heart and Soul” chords. The first song known to have used this sequence extensively was Blue Moon written in 1933 by Richard Rodgers. The progression is represented in a key as I, VI(m), IV, V(7). The sixth chord may/may not be minor depending on the key; the fifth chord may/may not be a 7th depending on the tone. When not played in the first to fourth sequence, the same four chords are used in a turn-around manner (see You Send Me, below). A Teenager in Love (1959): (4/4 Timing) [C] Each time we [Am] have a quarrel, [F] it almost [G7] breaks my heart, [C] cause I am [Am] so afraid, [F] that we will [G7] have to part. [C] Each night I [Am] ask the [F] stars up a-[G7]bove, [C] why must I [Am] be a teen-[F]ager in [G7] love?…. You Send Me (1957): (2/4 Timing) Darling, [G] You -oo-[Em]oo, [Am7] send me [D7]. I know, [G] You -oo-[Em]oo, [Am7] send me [D7]. Darling, [G] You -oo-[Em]oo, [Am7] send me, [D7] honest you [G] do, honest you [Am7] do, honest you [G], [D7] Whoa-oh-oh-oh…. (Repeat, replacing “send me” with “thrill me”.)…. 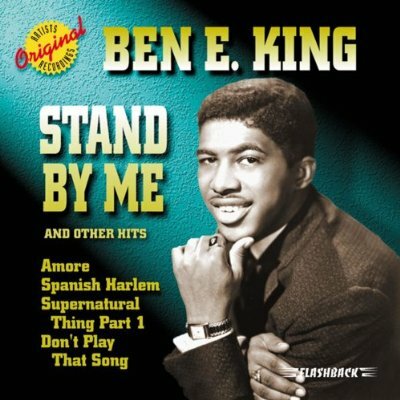 Stand By Me was composed in 1959, recorded and released in 1960, by Ben E. King. In addition to the iconic 50’s chord progression in the Key of A, the song departed from the sound of the “doo wop” background singers and used a strong, low bass-line instead. Baaa baaa, ba-ba baa baa, ba-ba-ba baa baa, ba-ba baa baa, etc. The arrangement I offer you today is presented in the ORIGINAL KEY OF A, which on a soprano ukulele is pretty much unattainable. 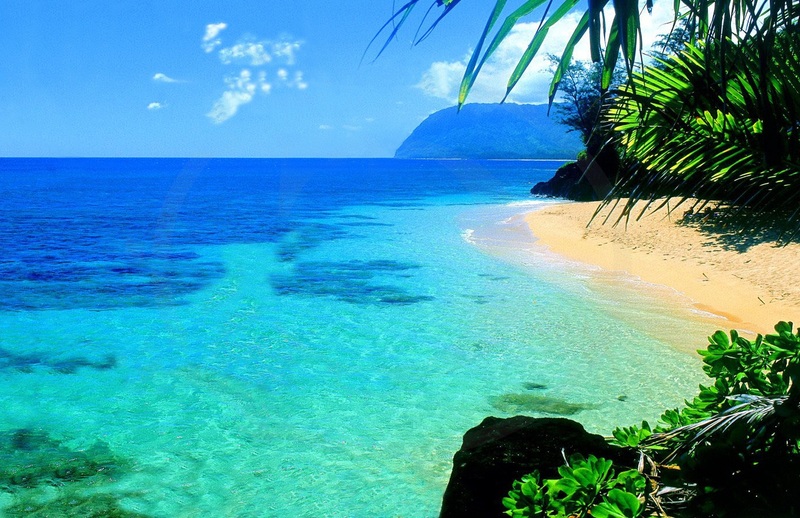 It is best played on a tenor uke or a uke that is strung with a LOW G STRING. This way you can attain that perfect tone of pitch moving from the low chords to the higher chords. If you want to transpose it to a higher Key, keep in mind that the second, third and fourth chords change depending on what sharps and flats are in each key, using the Key formula outlined in the paragraph above titled “50’s Chord Progression”. For example, if you truly don’t want to sing it in the original Key that Ben E. King recorded it in (no pressure), then the Key of F would be F, Dm, Bb and C7. (And don’t we all just looooove that Bb!) The Key of C sequence is C, Am, F and G7, which is easier to play but much higher to sing. However, like I already stated, I have arranged it in the Key of A as originally recorded, and tried extremely hard to have the lyrics in the style that Ben E. King sang them. The only part I don’t have tabbed out for you is the Instrumental, but you can probably find that on the internet somewhere 🙂 and you will have to find someone willing to accompany you doing the “baa baa, ba-ba baa baa” bass-line. Below is a wonderful video of Ben E. King singing Stand By Me, with some of the cast members from the 1986 coming-of-age movie “Stand By Me”: Will Weaton and River Phoenix. You can play the chord progression from my arrangement along with this video if you are good at hearing chord changes. Enjoy! 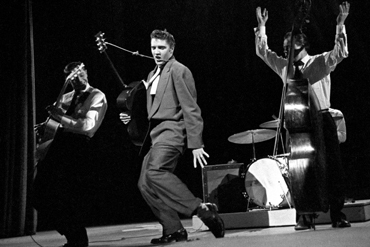 Elvis during his first television appearance on the Stage Show with the Dorsey Brothers, in New York, New York, January 1956. Sometimes I like to play a few 50’s songs together, especially if they were written/composed by the same artist and sound alike, or if they have the same beat or shuffle. I like to alternate the verses and chorus’s for each song, and I have a great time, and everyone seems to know the words to at least the chorus’s, so nobody cares! It’s when I type it out on paper and share it with someone, that’s when they point out the one glaringly obvious oversight. Yes, these two songs are from 2 different music styles. The first song is a strait up classic rock song, although it does not follow the classic 4-chord repetitive pattern, and the second song is a 12-bar blues song that was an R&B hit. However, they have the same shuffle strum and once you start playing them together you might agree with me. I am no DJ, so my mixing is not proper, LOL. I actually go back to the first song for the ending, so maybe this is falls into the category of “mash-up”?? Although I know that term refers to a song created by blending two (or more) pre-recorded songs together, the argument was that a “medley” should consist of at least 3 songs played together in the same Key in a continuous manner. So for that reason, I titled it Blue Suede Shoes/Flip Flop and Fly. The first song was obviously an Elvis tune, but the second one is attributed to Joe Turner, 1955. This was his follow-up hit to Shake, Rattle & Roll of 1954. However, Elvis performed it on his first television appearance in 1956, as part of a medley that included Shake, Rattle & Roll and I Got a Woman. 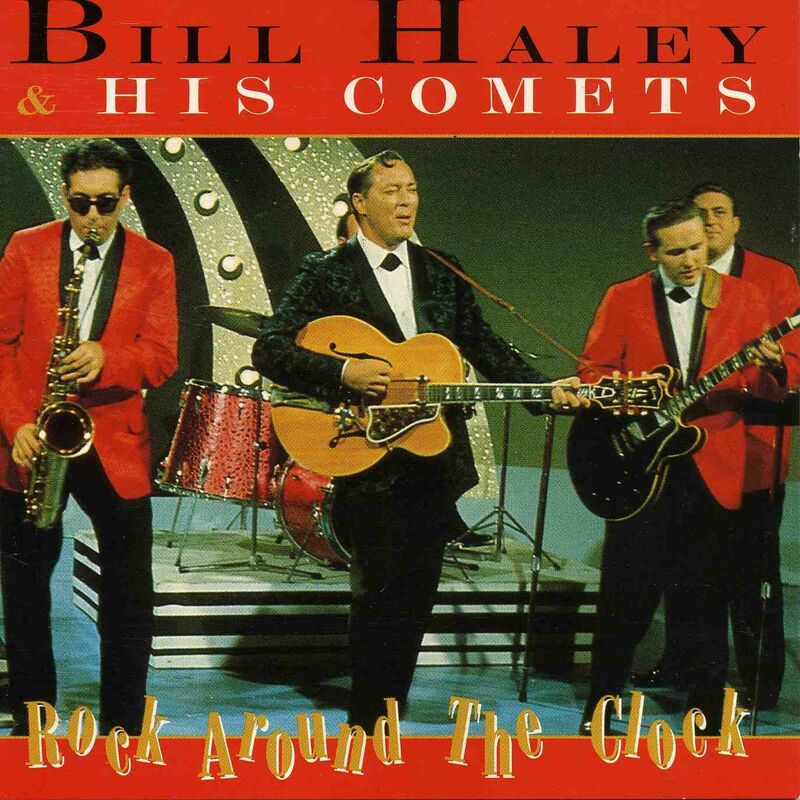 Other famous recordings of Flip, Flop & Fly were made by Bill Haley in 1956 on his album Rock Around the Clock, the Downchild Blues Band in 1973, and the Blues Brothers on Briefcase Full of Blues, 1978. Drift Away is another song that epitomized my late childhood/early teen years. An iconic 1970’s song, Drift Away was a chart topper when recorded by Dobie Gray in 1973. According to Wikipedia, it was written by Mentor Williams and originally recorded by John Henry Kurtz in 1972. A newer version by Uncle Kracker became a major hit in 2003. And I just learned this, an artist by the name of Narvel Felts also recorded a version of the song which charted on the Country Hits list also in 1973. He changed the lyrics, “I want to get lost in your rock and roll” to “I want to get lost in your country song.” Other famous performers have covered this song, and I have the CD which has Michael Bolton’s version. It’s about an 8 out of 10 (Dobie Gray’s being a 10/10). I was most interested in getting a good representation of the opening RIFF and the rendition of it that follows throughout the song. I have found it on the internet in various keys, but never with the RIFF in the key of C and the song in the key of F. It turns out this is the best key for my singing voice: that is all. I was very proud of yesterday’s post: I managed to produce a sheet of words and chords in the same key as the video I found to represent the melody of the song. That probably won’t be the case today, ha ha ha! It’s 1976, my favourite year: Grade 6! This was the year of my first crush, first kiss, first fight with a best friend (over a boy). First school dance, first school graduation, first time in heels, first time with glasses (and a retainer?? hmm maybe that was Grade 7…). The music was something else. My sister had a transistor radio in her room and I routinely dialed it to the American station, Rock 104. They would play Steve Miller Band, the entire album, and then flip it over and play the entire other side! They also loved Meatloaf and Bat Out Of Hell. This exposure to the cutting edge of the top music of the time felt delicious to me. Songs from the Grade 6 Graduation dance: Stairway to Heaven, Summertime Blues, lots of classic 50’s rock, Slow Dancin’ Swayin’ to the Music….Jerry Rafferty, Stever Miller and others. And Dr Hook. In particular, Only Sixteen, which they had recorded in 1972, but which was a hit in 1976. Funny how that works out! And oh, how we wished we were sixteen! I remember believing along with my girlfirends that this was one of thee most romantic songs, ever. Flash forward to today, and I find out it was written and recorded by Sam Cooke in 1959. Huh. That’s Ok, I really like Sam Cooke’s songs, too! [Am7][D7] I loved her [G] so. [Am7] That [D7] made our hearts [G] glow. [Am7] Why did I [D7] give my [G] heart so [Em] fast? 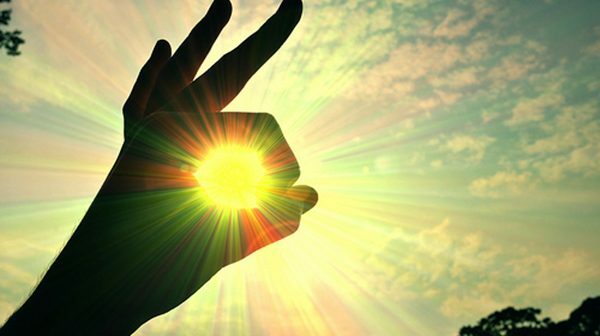 It [Am7] never will [D7] happen a-[G]gain! [A7] I’ve aged a year since [D7] then! [Am7]With [D7] eyes that would [G] glow. And [Am7] I was too [D7] young to [G] know. Whoa, it [Am7] never will [D7] happen a-[G]gain! [Am7] With [D7] eyes that would [G] glow. She was too [Em] young, to [C] fall in [D] love……. Actually referring to the hit 1972 song Brand New Key written by Melanie Safka of New York, New York. Melanie Safka was a beloved hippie performer from the 60’s. She was an American Singer-songwriter known professionally as Melanie. She is best known for her hits, Brand New Key, Ruby Tuesday, Look What They’ve Done to My Song Ma, and her song about performing at Woodstock, Lay Down (Candles in the Rain). She was discovered while singing in the folk clubs in Greenwich Village during her college years. Her first hit was Beautiful People in 1969. She also had a rebellionist streak. In 1970 she was the only artist to ignore a court injunction banning The Powder Ridge Rock Festival.Shortly after that she played a concert at Mosport Park in Ontario and played for a huge following in Britain where she received standing ovations. She left Buddah Records when they insisted she produce records on demand, and formed a recording company with her husband instead. When she became an official UNICEF ambassador in 1972 she agreed to forgo her world tour in favour of raising money for this organization instead. When Brand New Key was first released in 1972 many radio stations banned it due to the sexual double-entendres of the song lyrics. Melanie claimed she wrote the song in 15 minutes and intended it to be light-hearted. The follow-up song was “Ring the Living Bell”. To compete with that, her previous record label released “the Nickel Song”. Both songs were simultaneous Top 40 hits while Brand New Key was still in the charts, setting a record for the first female performer to have three Top 40 hits concurrently. Melanie was also awarded Billboard’s #1 Top Female Vocalist Award for 1972. I was a child in 1972 and started high school in 1979. I think this song was a standard on the radio almost the entire time. My favourite line in the song was always, “some people say I’ve done all right for a girl, oh, yeah!” Needless to say one of my favourite passtimes was rollerskating in our unfinished basement with my best friend. I also never sing the “la la la” part to the last chorus in the song. When singing it with my ukulele I just feel like singing “la la la” wastes my effort, so I prefer to sing the words there instead. Also, the song ends abruptly after the last word, “key”, and I prefer to come in for a gentle landing with 2 beats each of F and G7 and a single down strum on C. So at the bottom you will see *Original version with the La la la’s, followed by *Cat’s version with words and my ending instead. Your choice! Enjoy! Oh, [C] yeah! Oh yeah, yeah, yeah! Oh, yeah, yeah, [F] yeah! Oh [G7] yeah, yeah [C] yeah…..
Well boys and girls, tonight is the fall start for the ukulele club I belong to, called the Dover Uke Heads. We meet weekly at the Grace United Church on Chapman Street in Port Dover. This is a song for the group that I have been playing for the past 2 weeks. I hope they like it! [Am] There ain’t a place I’d like to [Gm7] be in-[C7]stead of…..